In 1977, the Faculty of Agricultural Economics was established as part of Karakalpak State University; students were accepted in the specialties of Agricultural Mechanization, Agronomy, Agricultural Planning, Accounting. Since 1977, a single department of Agronomy was established in the faculty. It employed 6 teachers. In September 1978, the Department of Agricultural Economics and the Department of Agronomy were formed on the basis of the Department of Agronomy. 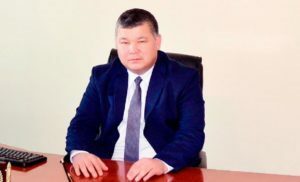 The head of the department of agricultural economics was appointed Assoc. S. Tleubergenov. At that time AK worked at the department. Matekeev, T. Sitmuratov, O. Nazarbayev, G. Dzhumagaliyeva, M. Seitnazarov, E. Izbaskanov, O. Berdiyev and others. In 1980, the department of accounting and analysis of the activities of agriculture was separated and opened from the structure of the department of agricultural economics. In this newly created department, A.K. Matekeev. 1992-1994 The dean of the faculty was Dr.Sc. Professor A.K. Matekeev. The faculty has 4 departments. In 1994, Professor A. Otarov worked as a dean. in 1995, the dean of the faculty worked as an assistant professor. O. Nazarbayev. and the following departments functioned, Department of Economics, Department of Accounting and Audit, Department of Economic Cybernetics and Informatics. From 2005-2010 The deans of the faculty of economics were Ph.D., Assoc. R. Eshniyazov, Associate Professor B. Gaipov, Ph.D., Associate Professor A. Torebekov, Ph.D., Associate Professor A. Yyatov, Ph.D., Associate Professor S. Bayzhanov, Ph.D. ., Associate Professor G. Utemuratova. In 2011, as a result of the merger of the Faculty of Finance and the Faculty of Economics, the Faculty of Social Economics was organized. The head of the faculty was appointed Assoc. B. Saylebekov. Currently the faculty is headed by Assoc. T. Zhiemuratov. Currently, the faculty has 5 departments: finance, economics, accounting and auditing, business management, general economic disciplines. The faculty closely cooperates with the faculties of economics and finance of the Universities of Uzbekistan, the Russian Federation, Kazakhstan, as well as with scientific centers. Doctors of sciences – 2. Candidates of Sciences – 27. Ф-1-77. Elaboration of a regional strategy for the socio-economic development of the South-West of Uzbekistan, taking into account the ecological situation in the northern Aral region (on the example of the economy of the Amudarya region).